So now I’m Head Honcho of “Smarter Enterprises”. And above all else – to do this cost effectively with precise measurable results! I love, live and work in Western Australia. You can read what some of our clients say about us here, it’s all good. So what qualifies me to make this claim of systematically generating more leads, automatically qualifying prospects into clients and predictably making you more money? Look at the track record with our client raves and read the spiel below. Peter’s current focus is on direct response marketing and new client lead generation systems for small business’, retailers and has a niched marketing and website system for mortgage brokers. Using his amazingly successful direct response marketing techniques his clients are enjoying better than ever new client acquisitions along with the assurance that it’s a predictable and proven system. Peter uses a combination of offline marketing strategies to bring prospects online along with current SEO tactics to maximize web traffic. What drives Peter now is the increasingly obvious shortfall for most business owners in their sales and marketing systems. This shortfall always shows up as a lack of clients which means money or time or both. 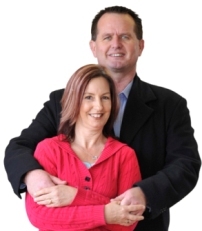 Peter Butler is a business builder and helps people take control and turn their business around. Peter’s sees it like this “For most of us we started or bought our business out of a ‘lifestyle’ desire… yet for so many of us we end up being a slave to the business in one form or another… so much for the lifestyle. We all pretty well want the same thing out of our business. Good cashflow along the way with a great reward at the end. The trouble is so many businesses don’t have a clearly defined and systemised approach to either getting new clients or managing them. The “highly qualified” lead generation and marketing systems Peter implements generate a highly profitable ‘stream’ of new clients and positions Peter’s clients as the experts and be the “go to people” in their area and ends all those lame, frustrating and sometimes costly prospecting methods. All those in favour of that say “AYE”! Peter was born in Perth, Western Australia of an Irish Father and an Australian Mother. He has since comes to terms with his father being Irish. Peter and his drop dead gorgeous wife Linda were married in 2000 after a whirlwind 3 month courtship. Peter has a 15 year old son who is going on 25 and he also has 3 absolutely gorgeous adult daughters he inherited with 8 fantastic grandchildren and he still has no grey hair. In other words, give it your heart and soul. It’s a life motto that Peter lives by and is the driving force behind his success. Peter’s career has seen him work in varied sectors and industries. With each career shift or project you develop a new skill set. Whether that skill set is in the daily operations of the business or processes, in the systems or simply different interactions and communication processes. Peter is well equipped to handle pretty well any task put before him. However, his father was insistent that it was important to finish what you start, especially as Peter was not clear on which career direction he did want to follow. Peter knows this instilled attributes such as commitment and perseverance and is grateful to his father for this (although he wasn’t as thankful as a teenager). Peter was adventurous and then turned his hand to the Steel Fabrication and the Welding Industry. From here Peter undertook further studies and went on to Rigging, Scaffolding, Dogman and Pressure Blasting and Industrial Coating. He also studied Meteorology out of some fancy for being a pilot. The search was on for his forte in life and to carve out his niche. Peter then travelled around WA for a year or so and was exposed to the Retail and Sales Industry. It was then that Peter realised he enjoyed selling and loved many aspects of the Retail Industry. (He even sold Kirby vacuum cleaners for a short season, how embarrassing) He then had the opportunity to do a short stint at coaching students in a Special Youth Training Program in the North West of WA. This was Peter’s first exposure to the fact that he loved teaching and coaching. In 1986 the company, for the first time in its history, initiated Company Recognition Awards. This was prompted by the remarkable 191% increase in nett profit that Peter had produced within 12 months. Peter was presented with “Most Improved Store” for 1986. Later in 1986 Peter was Nominated and Elected into Rotary International at age 26. Peter and his family relocated from the North West to Perth in 1987 after the sudden death of his father. Peter started with the Ian Diffen Group as the assistant manager at the Cannington branch. 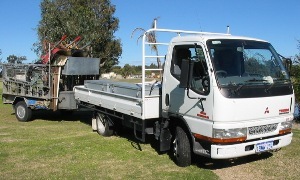 Within 2 weeks of starting with the group Peter was approached to take on the position of Branch Manager at Rockingham. Peter enjoyed many successes within the Ian Diffen Group. Although a company owned store Peter was able to achieve remarkable results primarily because of the autonomy and the culture within this company. Not only did the Gross Turnover triple in a four year period but Key Performance Indicators were the highest within the group. In 1990 Peter was nominated for the Rockingham Chamber of Commerce “Business Person of the Year” Awards. Peter and his staff at this branch established client rapport that resulted in several ‘Letters to the Editor’ and Letters of Commendation to Head Office from satisfied clients. Peter focussed his attention on training and empowering his staff. Peter’s Branch was used by the Company in this regard. He enjoyed sharing his knowledge and skills with people and took great pride in seeing people grow and succeed. 3 staff members were trained through to the Assistant/Relief Manager level which was the natural process to becoming a manager. Peter also set up systems and assisted other staff to become multi-skilled which was mutually beneficial for both the company and staff. The self esteem of the staff grew which meant they actually performed better and were also able to function in different roles. It was a real win-win situation, the company was in front with more stable and fulfilled happier staff. He was also instrumental in facilitating the first time set up in Western Australia of Traineeships within the Tyre and Exhaust Industry. The second Trainee is the Store Manager to this day and the current Assistant Manager was also trained by Peter. Peter also compiled, edited and produced the first ever company newsletter. In 1991 Peter moved on from this industry and went on to manage in another industry altogether, again showing Peter’s flexibility. He had to go back to the ‘books’ for this one and studied horticulture which was done part time while he managed a Waldecks Garden Centre. 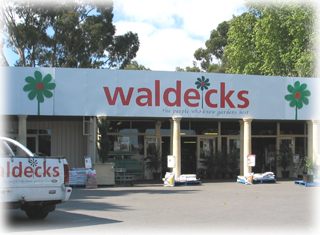 Peter helped set up the Waldeck store franchise operation before moving on and spending some time with Barry Waldeck himself who was now operating an independently of the Group. During this time Peter completed and received his Certificate of Horticulture. Peter had successfully managed other people’s businesses for over 10 years now. Peter knew the real money was in setting up and running your own business. 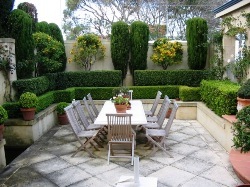 In 1996 Peter saw the opportunity of working “in the great outdoors” as a way to achieve this so he setup his own Landscape, Garden Maintenance and Design and Consulting Company. Peter had an interest in hedging and topiary style plants and gardens and saw that there was potential with the seriously wealthy and this style of garden. The plan was to develop niche style gardens for niche clientele that had niche bank balances. This was all achieved in a short time frame purely through word of mouth with no advertising at all. Peter then grew the business, plant pun intended, by employing and training other staff to manage the maintenance side while Peter had some fun with designing and consulting. He also developed a nursery to support the landscaping side of the business. What started as a sole proprietorship had turned into a thriving business. Another project in this group, one with a twist, was a Teddy Bears Picnic for both “Adults and Kids” that saw some 120 people participate in an event that they would not normally participate in. The foundation for both these projects was “relatedness”. The aim was to get people to relate to others that they would never normally relate to. It was a lot of fun. The scope and limitations within the horticulture industry were frustrating so in 2006 it was time for an industry change. Truth be told it was also getting harder physically and hotter outdoors and Peter needed to consider the next era of his life. He then consulted with several other related business owners. They shared similar experiences and had their own concerns in this regard. In fact, one operator in the past had to literally walk away from one aspect of his business. Peter was determined to turn this situation around. There were some fundamental principals here that needed to be addressed and after much evaluation and consultation with some highly regarded colleagues, primarily Mal Emery and John Denton and a season of preparation Peter successfully re-listed, sold and settled the business within 6 weeks. Peter had successfully sold the business without being 100% clear of his next venture. As a result of consulting with both Mal and John an alliance was formed and Peter worked on creating a marketing information product for the retail sector in partnership with Mal. Hence the StreetSmart Retail Profits Marketing System was created in 2007. Shortly after Peter was approached by Greg Milner of the Worldwide Salon Marketing group to consult and coach to their “Inner Circle” members. Peter then opted to sell out of the partnership with Mal and applied his knowledge and expertise in sales and marketing to the salon industry. My initial brief from the Directors of the WorldWide Salon Marketing was to coach 120 salon owners and to help them manage their individually marketing. Here’s where it got really interesting. The directors then approached me to manage the whole Million Dollar “Inner Circle” Coaching Program for the entire WorldWide Salon Marketing group. My brief was to set up and implement an Outbound Coaching Call Program to their 400 strong “Inner Circle” membership. No easy task let me tell you. As I saw it I needed to systemise and create a congruency for the members but I still had to allow for the individuality of each member. A way to streamline the induction process for new members so they would get ‘instant’ results and the implementation be easy to follow. Setting up a process by which the existing and experienced members would receive much greater benefits and results than they were currently getting. A manageable way to bring on and train new coaches and still have the members receive consistent coaching. Now, I can’t go into exact figures here because of confidentiality and stuff but I think the following rave from Greg Milner, The Co Founder and CEO pretty well sums it up. I can’t speak highly enough of Peter’s achievements in setting up and systemizing our client coaching system. Peter’s work has meant we’re on track to deliver an ever-more efficient and valuable service to our hundreds of salon & spa clients around the world. It was no small task. Under-resourced and always under pressure, Peter got the job done with focus and application. His work will always be appreciated. Over the next 12 months we brought on more coaches and developed delivery systems that guaranteed consistent and remarkable results for new members and refined the process for the existing member portfolio. Needless to say, we’re talking serious money difference to the bottom line of all concerned. Big bucks in profits for everyone, me too. • The WorldWide Salon Marketing Directors were rapt. Obviously my brief was to get results and the biggest buzz was the results we got for the business owners. Nothing beats hearing a grown adult giggle like a little kid when you share a really simple yet powerful marketing strategy with them. That was the part I loved most of all! You must have figured out by now that I’m a passionate person and I love what I do. If you hadn’t guessed that then think about this. My real passion is to share, to teach – it’s what I’ve always done. And I love systems… and systemising everything. (I do my wife’s head in on this let me tell you.) I love setting up processes and systems, then testing and measuring… and it’s all about the results. So here’s what happened next. A real estate buddy of mine needed some help with his marketing. We all know how sad real estate marketing is – you know, the old ‘Free Appraisal’ in your area type offer that has been done to death. Not a lot new happening in real estate marketing is there? Short story long I ended up working with a mortgage broker and that just opened up a whole new world to me. Here was a group of people who were in the main pretty focussed people with some organised systems and processes in place. What seemed to be lacking was a decent systemised and effective marketing system. So while I was doing this consulting work with these mortgage brokers I went to work developing a niche marketing and lead generation system specifically designed for mortgage brokers. At the 12 month mark it was time to move on from the WorldWide Salon Marketing group. It was now time to officially release this marketing system and new company “Smart Mortgage Marketing” to the market. Here’s our website www.smartmortgagemarketing.com.au You can sign up for our “Get Updates and Stay Ahead In Your Marketing” newsletter. Finally: A lead generation and marketing system that generates a stream of “highly qualified” clients for brokers that’s self managed so they ‘own it’ and positions them as the experts in their area and ends all lame and frustrating and sometimes costly prospecting methods. And I think that’s a fair statement. It’s what we do and if you don’t say ‘AYE’ to that then obviously you have some great referral and lead generating systems in place and that’s great. I’ll leave you to your business and I genuinely wish you all the best. If you do say ‘AYE’ then you really do owe it to yourself to check us out. It’s that simple. What brokers need to realize is that I’m not here to ‘sell anything’. None of us like to be ‘sold to’. I am over trying to be sold to as well and to be honest I am over trying to sell stuff. It’s too hard. This model or system either fits or it doesn’t. You either have a need or you don’t. If you did said ‘AYE’ then obviously there is a need at some level. Don’t forget to get your FREE Pre-Application & Survey Report valued at $350.00! Don’t forget to get your FREE Report too! David manages all the core web builds along with our fanatical and obsessive support. David has been with us forever it seems, he also knows he can never leave. He's also responsible for our managing our email marketing software, hosting and all things IT. Naomi is our 'magic wand' girl. She is instrumental for plugging all the graphical elements together and helping us to all look good online. She also turns her hand to a few admin and PA roles which is great, takes the pressure off me so I can get on with working in my strength and genius. Mark Fregnan is a marketing expert. Mark has the ability to understand the business numbers and then make decision based around the facts. Mark has a unique gift in being able to drop the emotion from the issue and then make decisions based purely on the facts. Mark has an extensive marketing background and this coupled with his numeric skills is invaluable when making decisions. Evan organizes businesses to run like a well oiled machine. Evan helps business owners create a business that supports their life style and optimizes the return on their investment rather than a business that they are a slave to. John Denton’s catch cry and passion is “Building Business’ For Sale or Lifestyle”. John sums it up well in that people mostly started their business for a ‘lifestyle’ reason and then somehow became a ‘slave’ to the business at some level. 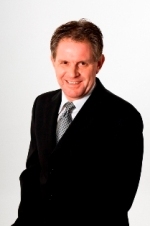 John's specialty is ensuring that objectives are focused on and achieved. His core question... “What’s the objective here?” cuts straight to the bone‘.